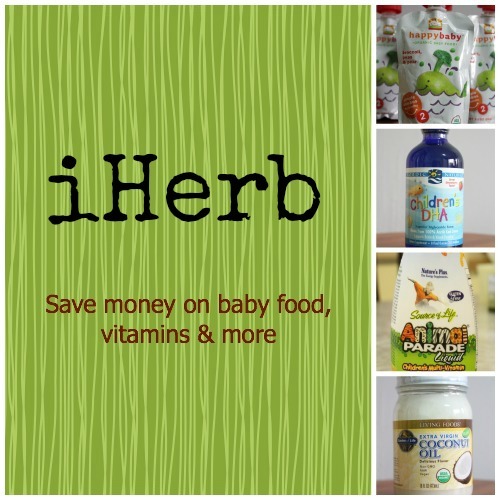 iHerb is still one of my favourite online stores, since my first order in 2010. If you want to save money buying organic baby food, vitamins and more for the whole family, this follow-up review is for you. If you’re eager to shop, just go straight to my recent shopping carts* to peek at what I just re-ordered. (a) Selection: ★★★★ The selection is huge where I can find suitable and high-quality skincare products (e.g. kids’ toothpaste, baby body wash and shampoo) and vitamins. Often, these are items that are not easily available or more expensive locally. After the previous review, there’re still limited cloth diapers available. More please, iHerb… so that mums can try them out. Hubby and I still use African Black Soap as a natural and effective facial wash. Now iHerb offers pure African Black Soap in liquid form (see it here*) but I prefer to get a soap bar and dilute it at home to save on packaging and shipping cost. (b) Ease of Shopping: ★★★★★ As good as before. iHerb’s website is very easy to navigate, with a smart search box. After more than 20 orders over almost 4 years, I’m happy to report that all items have met expectations. Of course, I did my homework before buying a new product, by reading many reviews and comparing options. Nowadays, I usually re-order the same items, so the re-ordering function saves me lots of time. (c) Payment & Delivery: Payment is very easy via credit card, through a secure page with SSL. Regarding packaging: Bottle caps / pumps are covered with tape, then bottles placed in individual plastic zipper bags (that can be reused). Each fragile glass bottle is packed in a thick mini egg carton. Very reliable packaging. As for shipping, there’s a VAST difference now between shipping to Singapore versus shipping to Malaysia (Kuala Lumpur). Sending my purchases to Singapore win DOUBLE. HANDS. DOWN. Since I’m visiting my parents in Singapore in a few weeks, I just submitted an order via this method. The shipping fee is very attractive. Not for P.O. (post office) box. Max 150 lbs. During my last stay in Singapore in December 2013, I realised that shipping from iHerb to Singapore is much cheaper and reliable than to KL, so I made a last-minute order using this method. The parcel arrived on time, as what I’d expect from DHL. The weight limit is very low, so I used to split packages into about 4 pounds each. In the past, they arrived in about 2 weeks. But from August 2013, they took much longer. I’d one parcel reach after 4 weeks, one after 6 weeks, and one didn’t even reach after half a year! I subscribe to a branded mailbox service in town (open from 10a.m. to 10p.m. every day including public holidays) to receive my parcels, so having a lost mail is unacceptable. iHerb explained Global Priority Mail as this: “DHL will pick up your order from our warehouse, and then pass it to your individual countries’ postal service for final delivery.” So it could be the local postal service which is unreliable. Anyway, I sent iHerb a feedback and the customer service officer gave me a refund out of goodwill because this is my first lost parcel report over 20+ orders in 3+ years. I used the refunded amount to ship my re-order to Singapore instead. No P.O. (post office) box. Max 150 lbs. For my recent order (11.27lbs, 5.11kg, value USD134.53), the shipping fee is USD12 to Singapore vs USD14.48 to Malaysia. I like the high weight limit, but am concerned that Malaysian customs may check DHL packages, so I prefer to avoid this shipping mode. I may experiment with this option in my next order and review its reliability. (d) Customer Service: ★★★★ On iHerb’s website under “International”, the estimated delivery time for Malaysia is stated as “16 days”. It should be updated as “28 to 42 (with possibility of being lost)” based on my recent experiences. Replies to emails are very efficient, within 1 working day when I tried. (e) Overall Value: ★★★★★ Prices are attractive and there’re often 5 to 10% discount for larger orders. With the new low-cost trackable shipping option to Singapore via SingPost, buying from iHerb is even more value-for-money than before. Just an idea of the price differences: The kids’ Nordic Naturals Children’s DHA 16 fl. oz costs USD38.21 (~SGD48.36 / RM124.93) vs local retail price of SGD89.90. Before delivering Baby El, I bought Earth Mama Angel Baby Organic Milkmaid Tea again. This time, at USD4.95 (about SGD6.27 / RM16.18). The retail price is SGD11.90 / RM41.90 with discounts at several online stores. I’d continue to shop at iHerb for its wide variety of choices and superb value for money, while noting that shipping to Singapore is cheaper and more reliable than to Malaysia. Nordic Naturals, Children’s DHA, Great Strawberry Taste, 8 fl oz (237 ml)*: To supplement Vee and Jae’s diet, which includes some fish and eggs. Avoids hexane concern in formula milk with DHA. I was initially concerned whether they’d take fish oil. Fortunately, both love this high-grade liquid DHA and take it daily. Nurture Inc. (Happy Baby), Organic Baby Food, Broccoli, Peas & Pear, Stage 2, 6+ Months, 3.5 oz (99 g)*: To supplement Jae’s diet when we’re outdoors or travelling overseas because he’d only eat finely chopped or pureed vegetables. Dr. Woods, Shea Vision, Baby Mild Castile Soap, Unscented, 32 fl oz (946 ml)*: To replace Dr. Bronners Magic Soap which is no longer available at iHerb. This is a similar gentle all-purpose wash. I dilute it 1:1 with water to wash hands, body, toys, etc. Not as a shampoo to prevent build-up. Nordic Naturals, Prenatal DHA, 500 mg, 180 Soft Gels*: To supplement my largely vegetarian diet at home, I’ve been taking this high-quality DHA since pregnancy #3. Still taking now while breastfeeding Baby El. Nature’s Plus, Source of Life, Animal Parade Liquid, Children’s Multi-Vitamin, Natural Tropical Berry Flavor, 30 fl oz (887.10 ml)*: To supplement the kids’ largely vegetarian diet at home. Both boys love it. I suspect this leaves grayish stains on the boys’ front teeth after a while. The stains are easily removed during their dental checks. Lafe’s Natural Body Care, Baby, Foaming Shampoo and Wash, Fragrance-Free, 12 oz (354 ml)*: For Baby El. The older boys use it as shampoo. I like that the bottle is made of baby-safe plastic that reduces exposure to endocrine-disrupting chemicals. Hugo & Debra Naturals, Baby, Shampoo & Baby Wash, Tear-Free, Chamomile & Vanilla, 8 fl oz (237 ml)*: My shampoo — cleans well, not over-drying on my dry hair and barely any scent. Jason Natural, Kids Only! Natural Toothpaste, Strawberry, 4.2 oz (119 g)*: Vee loves this toothpaste. He used to hate toothbrushing, so I bought this to entice him. Works well! His teeth are fine during his 6-monhly dental checks. Hugo & Debra Naturals, Volumizing Conditioner, Vanilla & Sweet Orange, 12 fl oz (355 ml)*: My conditioner — does its job and there’s barely any scent too. Garden of Life, Extra Virgin Coconut Oil, 16 fl oz (473 ml)*: To include good quality fats into my and the kids’ diet, we drink it directly or sprinkle over food or soup. Can withstand high temperature cooking. I’ve also used it to “dissolve” Baby El’s cradle cap and as a moisturiser. Its fragrance attracts ants, so I keep the bottle in an airtight container. I like that the bottle is glass instead of plastic. Sometimes I buy the larger size in 32 fl oz (946ml). P.S. If you’ve used DHL from iHerb to Malaysia (KL) regularly and find it reliable, do share in the comments box. Disclosure: I’ve been a regular customer at iHerb since July 2010 and have joined iHerb’s Rewards Program. This review is written after I’ve made more than 20 personal orders through iHerb and have been a satisfied customer. For me I think its best to use DHL express and pay the extra USD. Plus for orders above usd 60 you get discounts etc.. peace of mind. I am glad i found iHerb! i just love it!!! I have received it on Monday.. no custom problem. not even mentioned in the tracking page. It says arrived in Malaysia and the next update was ‘with delivery’. But I have used DHL for delivery from a forwarding company in the US and had to pay RM 200 for customs fees and yes it was a heavy package. Great that your order arrived smoothly. Which forwarding company did you use? How heavy was your package? Mine was delivered 6 weeks later..not two weeks mentioned in their site. Bit disappointed. Hihi Molly, thanks for sharing your experience of delayed delivery. Indeed, I was disappointed when the parcels started reaching much later than in the past. As mentioned, it may be the local postal service which is slowing things down. To go around this, the alternative is to use DHL Express, which is rather affordable for large parcels. Just need to confirm customs experience with more readers. I would like to check have you encounter any problem with Malaysia Custom when you purchase goods from overseas? I am planning to get fish oil and body care products from iherb. Any advise? So far, I’ve only used Global Priority Mail from iHerb to KL. The limit is 4lbs (~1.8kg) and the label outside states something like “Health products for personal use”. I haven’t had any issue with Malaysian customs since 2010, except for 1 lost parcel in Sep 2013, for some unknown reason. Do note the longer expected delivery (around 4-6 weeks) than stated on the website (16 days). Cant remember what was the item..but i couldnt buy it because it cant be shipped to Malaysia. It was mentioned on the item page on iHerb. I also love shopping at iherb! I think i also learned of this back in 2010 and ever since i have become a frequent buyer of organic stuff esp for babies. 🙂 For sg, shipping is quite fast. Sometimes it takes less than a week using vpost. My first and only order I did one year ago, never came. Iherb say they sent and no one can tell me where my item is. Iherb just told me it could be the customs. I called the local customs and they say Usually a letter will be send to inform. The local post say it is not in too. It might be better to use DHL I guess. But is there any item that we cannot buy? Thanks for sharing, nakamarchie. Indeed, I also think that DHL might be more reliable for sending to Malaysia. Downside is potential customs scrutiny, esp for larger ones. For prohibited items, would have to refer to customs info. Generally, for supplements, I try to buy what is already available here yet cheaper in iherb. i bought from iherb too recently.It says “shipment on hold”.what could it means?hope everything’s fine.Did u pay for taxes or anything when the package is delivered to house? Wanted to ask you if you were able to use all the Bath&Body section during pregnancy since I see some of these contain aroma oils, specially lavender. I ordered from iHerb many times and I did not encounter any problems at all except today.. (Which is my 30th order so far) when I was informed that my parcel was confiscated due to the supplements that I bought was not a registered supplement with the DCA (drug control authority). I just placed my ordered from iHerb last week (Sunday) and Friday I received a called from DHL informing me that they held my parcel due to tax duty which shocked me because they charged me nearly 70% import duty tax. I am aware about the custom charges but never expected to be that expensive that almost near the same value of my parcel. value around RM170+ including shipping cost, then charge me RM155 include DHL Service/Insurance. Since the DHL informed me that the custom will be charge the parcel depend on the labeled that the seller/sender put on it, since iHerb put “Health and Supplements” even though there is no any supplement or health products on it.. They should put beauty products, because what I ordered are all cosmetic items. So, if anyone will place an order from iHerb with mostly Skin care or beauty products, inform the iHerb to not put Supplements label on it because it has a high chance that malaysia custom will tax your parcel. Hi Hannah, thank you loads for sharing your experience! I took the plunge recently and ordered a parcel through DHL too, must have been lucky to get through customs smoothly. Am wondering if customs would accept a submission of your iherb invoice? Or couldn’t they have opened the parcel to check? I’ve had (non-iherb) parcels cut opened for checking and tax, so I’m surprised they didn’t do that… Hmm… can feel your heartpain… Wish you better luck at your next online shopping experience!!! Hi Hannah, my parcel that came in May was confiscated by custom in Penang. Tried talking to them to only tax me but they said they couldn’t because they said that supplements as well as cosmetics are actually prohibited items to bring over unless you have them registered. Any oils that you can apply on your body is considered cosmetic unless it’s specified as aromatherapy oil which you use in a diffuser. Cosmetic is also regarded as prohibited items unless you register them. They even warn me that I can be issued a fine to bring in supplements without registering. When asked whether I could buy any supplements brands that has already been registered and selling here in Malaysia like for example Natural Factor … They said that you can’t buy them as well! You are not the one who had that registered.During the month of May there was a worldwide custom check on parcels coming in containing supplements and my parcel was one of so many that was confiscated during that week! Upon checking their records they even know how many parcels I have bought from iHerb… All parcels that comes in are recorded. They only let go of a few that you ordered and confiscated the rest when they see that you have bought so many times. So the best way to avoid detection is to avoid using DHL but to use their Airmail which takes longer to arrive. All parcels that comes through DHL will surely pass through custom whereas Airmail sometimes goes through without so much scrutiny. How many times you order from iherb in 1 month? Yeah.. I’d better use Airmail next time.. You must been very disappointed as well when custom confiscated your parcel, I knew the feeling 🙁 You used DHL only one time by that time and the rest are via Airmail? I’m worried that Penang custom are strict as well for Airmail.. Have your parcel alway pass at Penang or KL sometimes? I do really love buying from iherb, but this bad experienced is the main reason for not placing order this time.. Normally how many weeks your parcel can arrived to your doorstep using International Airmail? Hannah, my parcel sent through International Airmail arrived between 3 to 4 weeks. Well, Good Luck Hannah! By the way, do not order more than Rm 500.00 or you will be tax! Btw^^ Does your parcel always have attached with Invoice of your order? Because my DHL got, so the custom clearly can see what items have inside my parcel. Does the International Airmail is same? Only thing I’ve worry is International Airmail has no any tracking number, have you experienced your parcel being missing or loss? Now that you asked me… I don’t think there was an invoice attached like if go through DHL. But, they put a note that says it is for own personal use. I have never lost any parcel at all even by using International Airmail. Anyone ordered Aura Cacia essential oil from IHerb to be delivered to singapore before? I hope it is approved by the customs.